The 2018 NY2LA Sports Next Level Invitational kicked off as we saw teams from across the country compete for a chance to be named NY2LA Basketball Association champions. Some of the top college programs in the country were in the gym as the July live period kicked off Wednesday night. Here are some of the prospects that stood out to me. Evan Neff – 2020 (MI Warriors 16u) - The 6-2 guard is very skilled and versatile and was giving defenders problems all game long. He proved that he can be productive on or off the ball as he was setting up his teammates for easy buckets and knocking down shots off the catch. Neff has a high basketball IQ and seems to always make the right play. Neff scored a game high 16 points in the Warriors opening night win. Cole Henry – 2019 (Martin Bros 17u) - Henry was the most productive player on the floor all game long. His physical attributes are all there as he is strong, long, and athletic. Henry had the whole gym buzzing as he had arguably the best highlight of the night throwing down a powerful poster dunk. He has solid court vision and showed it off by making nice passes all game long. Henry is a legitimate low to mid major division 1 prospect. Isaiah Rivera – 2020 (Quad City Elite 16u) - Rivera continued his strong level of play dropping a game high 14 points over Minnesota Select. Rivera was doing it all for Quad City Elite and was virtually getting anything and anywhere he wanted on the offensive side. He was in attack mode all game long and it was leading him to easy buckets at the rim. Defensively he was causing chaos leading to turnovers which would turn into easy transitional buckets for him and his teammates. Multiple high major colleges were baseline watching the rising 2020 prospect. 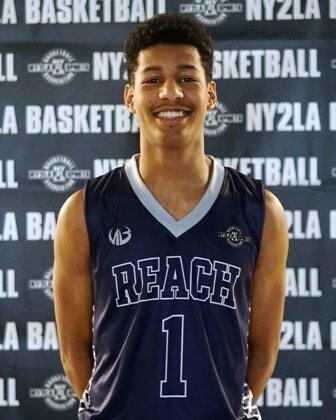 Harlond Beverly – 2019 (REACH Legends 17u) - Beverly put on a show in REACH Legends opening night blow out win. He showed off his versatility, bounce, and his outside shooting. Arguably one of the top prospects in the tournament Beverly had Michigan, Purdue, Baylor, Michigan State, Xavier, and more baseline. Beverly finished with 13 points. 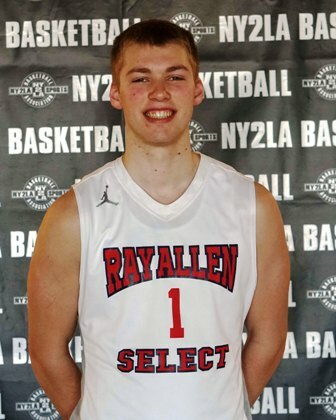 Marcus Domask – 2019 (Ray Allen Select 17u) - Domask was consistent all game long for the talented Ray Allen Select squad. The 6-5 forward was doing a little bit of everything and making sure his presence was felt on both ends of the floor. He showed off his improved bounce and almost threw down one of the more impressive dunks of the night. He scored multiple buckets above the rim. Domask finished with a game high 17 points in Ray Allen's win over All In Athletics. Wendell Green Jr – 2020 (MI Playmakers 17u) - Green showed off his complete offensive package highlighting his handles, vision, and scoring ability. He was breaking down his opponents and making the right play whether it was him getting a bucket or dishing it out to his teammates for a bucket. Playing up an age level Green has been lighting up scoreboards all spring and looks to continue that into July. Green finished with 14 points in Playmakers win over MBA Select. Andre White Jr – 2019 (All In Athletics 17u) - The 2019 point guard was productive in both of All In Athletics opening night games. The quick and shifty point guard was scoring buckets from all over the floor. White keeps defenders on their heels with his creative cross overs and is great at creating his own space. He has great vision and was dropping dimes all game long. White is a legitimate division 1 prospect. 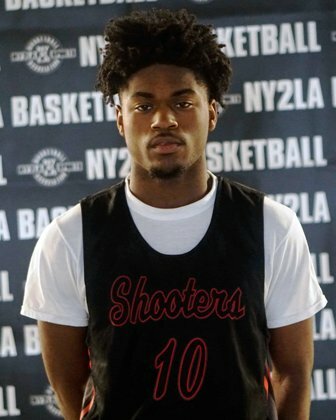 Ace Evans – 2019 (WI Shooters 17u) - In Shooters tough loss to Illinois Irish Evans was still able to stand out with his offense. Defenders have a very difficult time staying in front of the rising 2019 prospect as he almost always gets the basket when he puts the ball on the floor and drives. He is extremely quick and has a crossover that will make his opponents look silly at times. The left-handed prospect finishes at the rim at a very high rate and it doesn’t matter how much contact he has to go through. Evans finished with 17 points in Shooters loss. Mitch Mascari – 2019 (Mercury Elite 17u) - Mascari was scoring at will for Mercury Elite. The 2019 prospect is lethal from beyond the arc and has no problem getting his shot off with his quick release. Mascari can create his own space, score off the bounce, shoot of the pass, and get buckets in the paint. Mascari finished with 15 points in Mercury Elites win.